It is time to make a stylish move and acquire not just a vehicle, but a Honda CR-V! 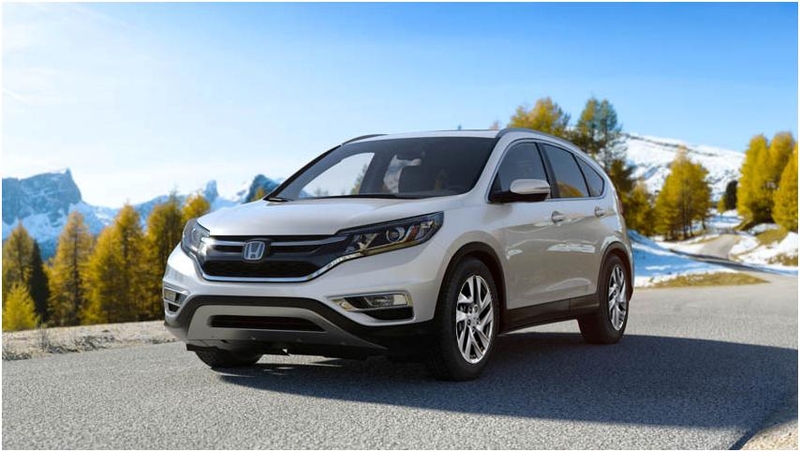 For years, the CR-V has been one of the best-selling SUV’s with a redesigned exterior and features like brilliant LED Daytime Running Lights (DRL), push button start and audio touch-screen. The CR-V is more stylish than ever. 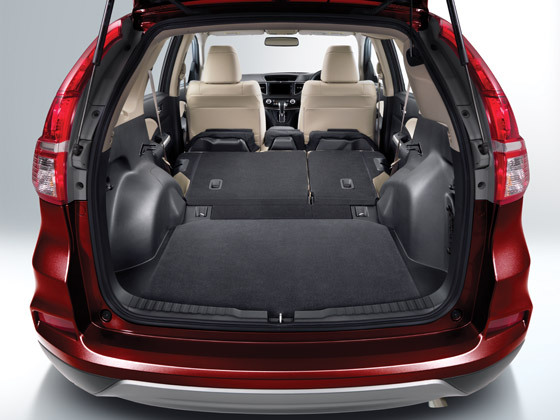 Hop in the CR-V without ever taking your keys out of your pocket. 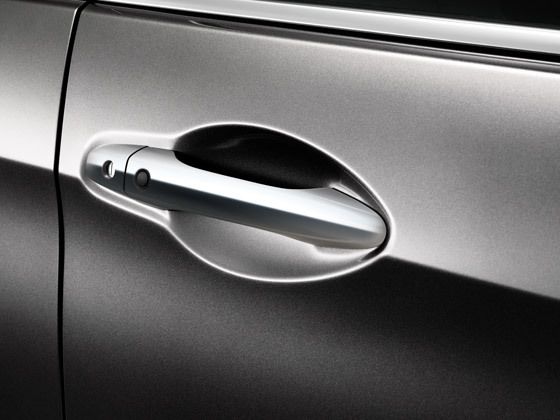 Smart Entry recognizes when your key is near the vehicle, and locks or unlocks the doors on RVSi models. 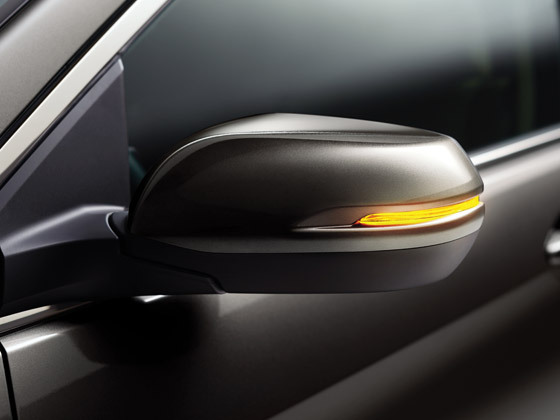 The power folding side mirrors conveniently fold inward, giving you a few extra centimeters. 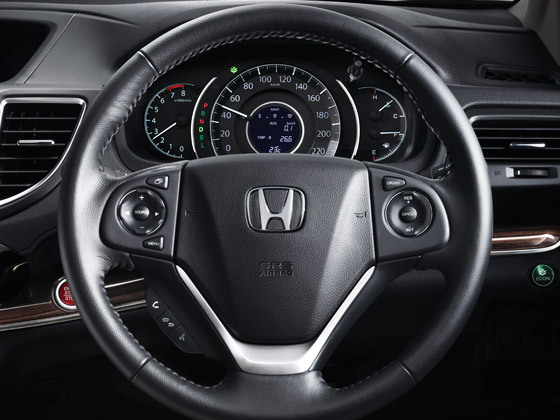 Turn indicators on the side mirrors improve your visibility in high traffic. 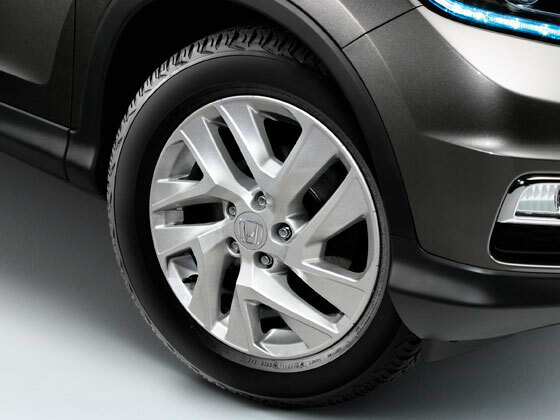 The CR-V comes with 17-inch alloy wheels, the perfect compliment to its sporty exterior. 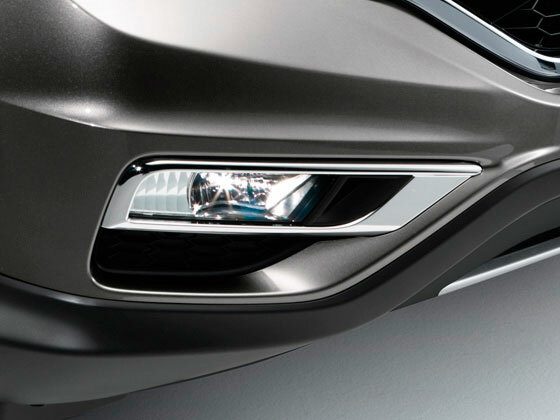 The chrome-trimmed fog lights look great and help you see when visibility dims. 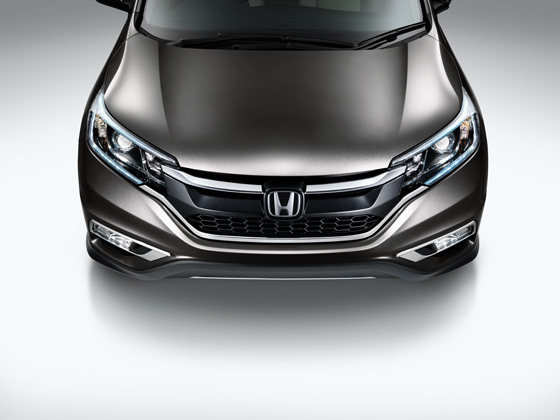 The front grill and bumper encompass the true meaning of the CR-V: luxury and sportiness. 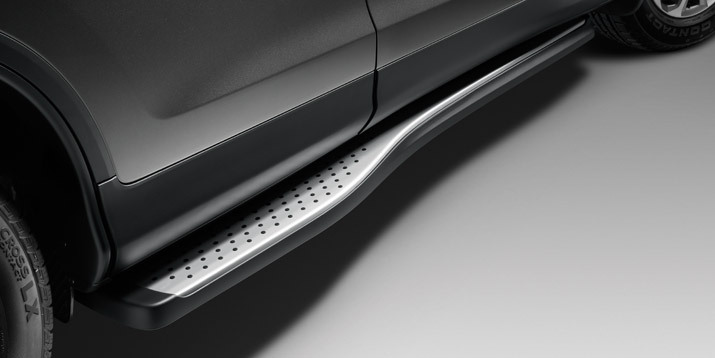 The sleek lines of the grill seamlessly transition into the front bumper, giving it a look that warrants exploration. 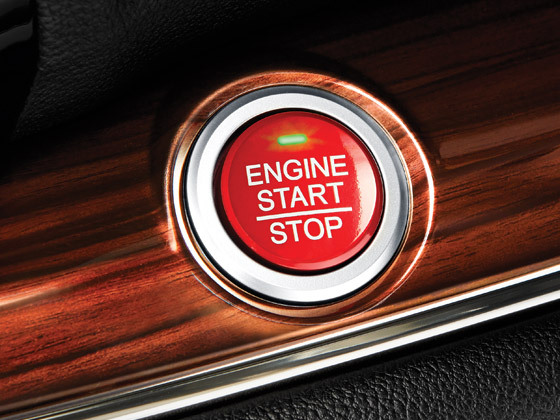 The CR-V can identify when your key is inside the vehicle, so all you need to do is press the button on RVSi models. 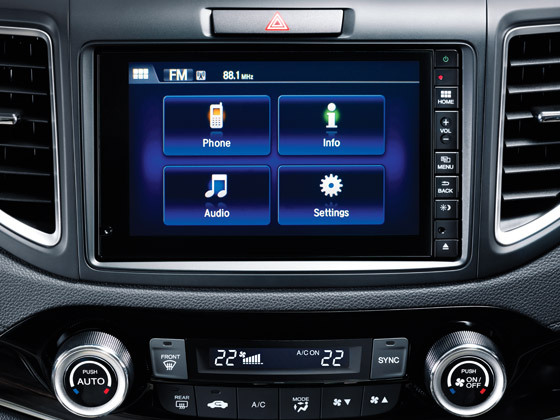 The CR-V is equipped with a 7-inch audio touch-screen interface on RVSi models. Tap and swipe to access the numerous features, and pair with your compatible smartphone to answer calls with Bluetooth Hands Free Link. 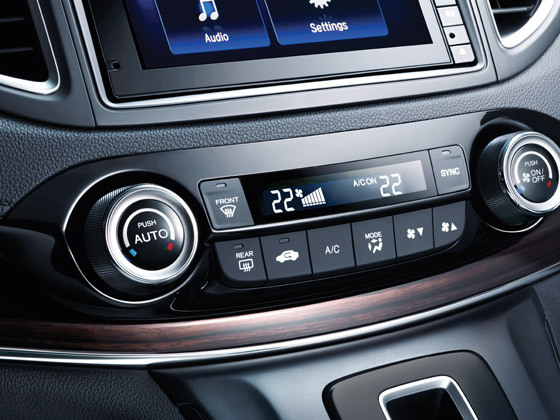 Get rid of the wires with Bluetooth, standard on every CR-V. You can place and receive calls with Bluetooth Hands Free Link, or play music with Bluetooth streaming audio. 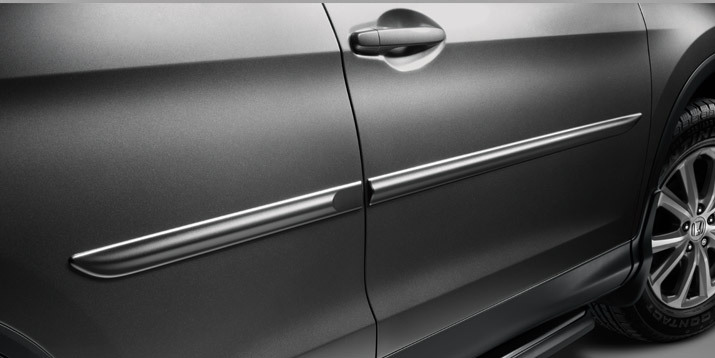 Every CR-V features a rearview camera to help see more of what’s behind you when you’re in reverse. 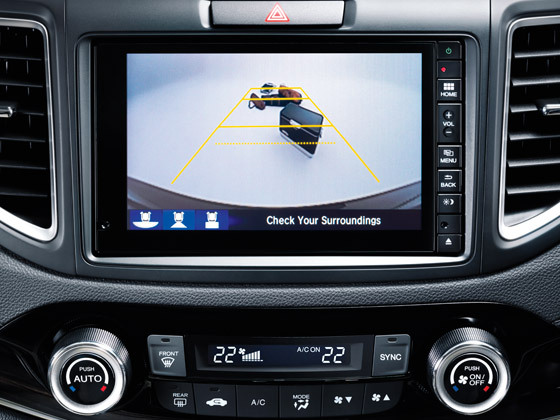 The RVSi models are equipped with a multi-angle rearview camera that offers wide view and top view, as well. 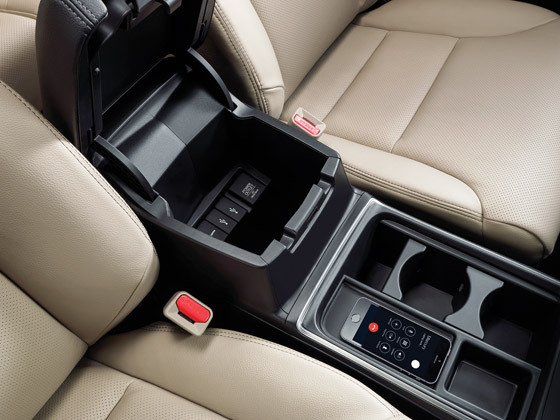 The redesigned center console efficiently organizes your daily carry-alongs and includes a power outlet and USB port. 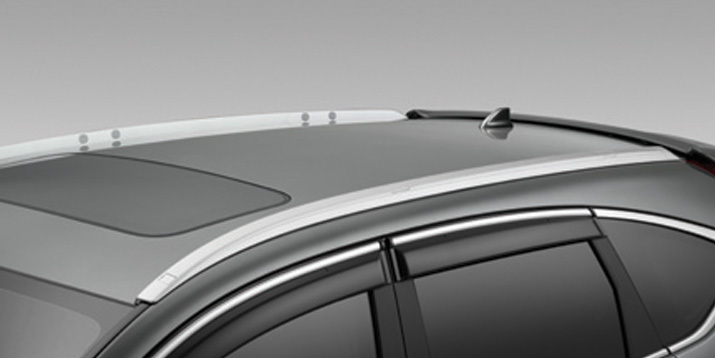 With the CR-V you can take along almost anything life throws at you – literally. 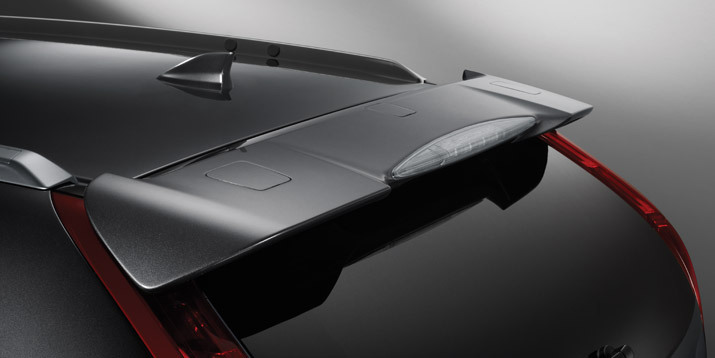 The 60/40 split rear seat back folds down with just a single pull. 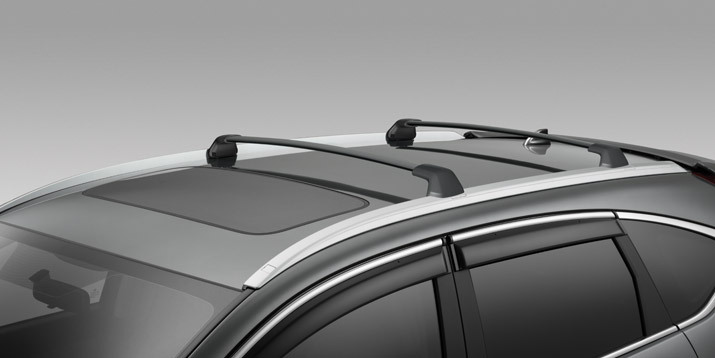 A low cargo floor makes loading and unloading easy, and tie-down anchors help keep everything secure and stable. 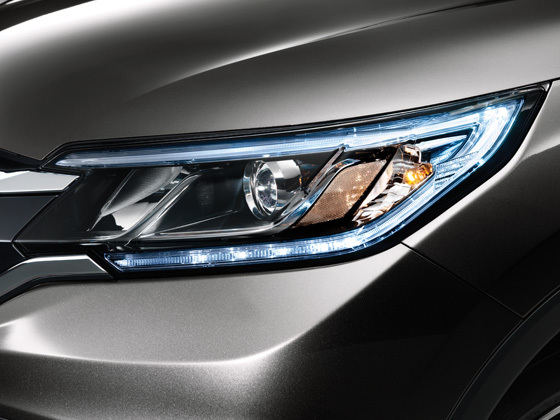 Daytime Running Lights (DRL) help to ensure that the CR-V is always visible to other drivers on the road. 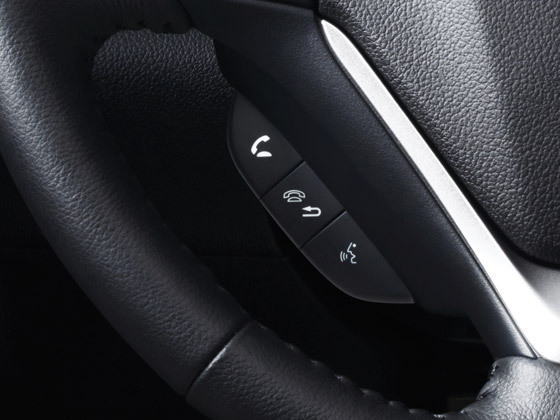 This system helps sense oversteer or understeer and brakes individual wheels and/or reduces engine power to help keep you on your intended course, equipped on the 2.4 RVSi model.